de la año de 1626 hasta el de 1632 … Title to front: Traslado de la Residencia original que el señor don Ju<an>o Çerezo de Salamanca Gouern<ad> ory Capitan General de estas Yslas philipinas … tomo á D<on> Juan Niño de Tauora Gou<ernad>or … [14 July 1633]. Folio, original limp vellum (marked and stained), spine and cover with manuscript title in ink; ff iv + 611; rice paper; some browning and age-staining, small insect damage to first folio, but generally in very good condition. A treasured document of the early history of the Philippines under Spanish colonial rule. 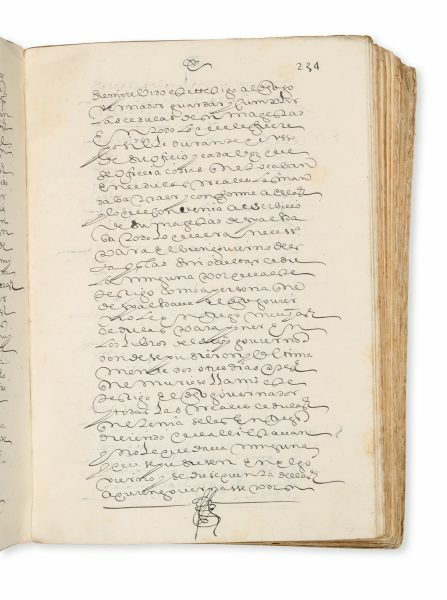 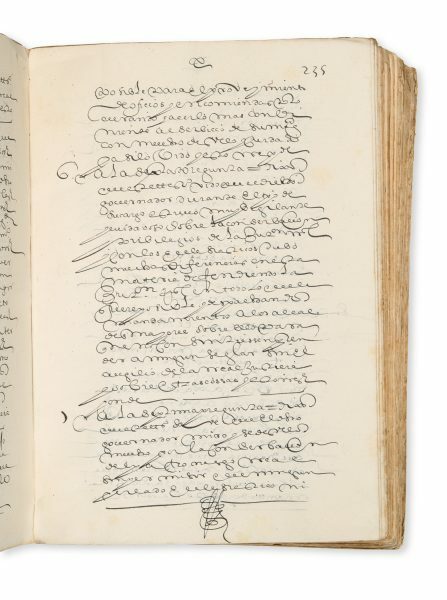 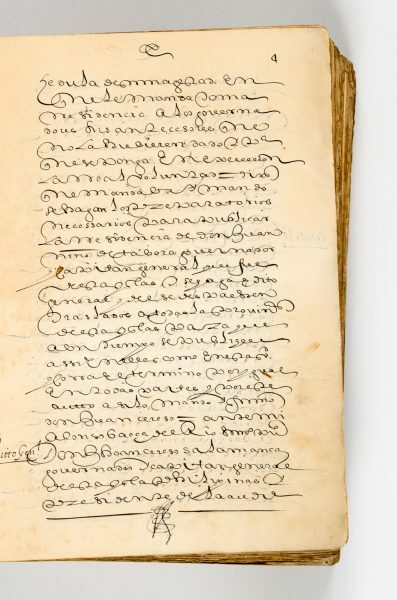 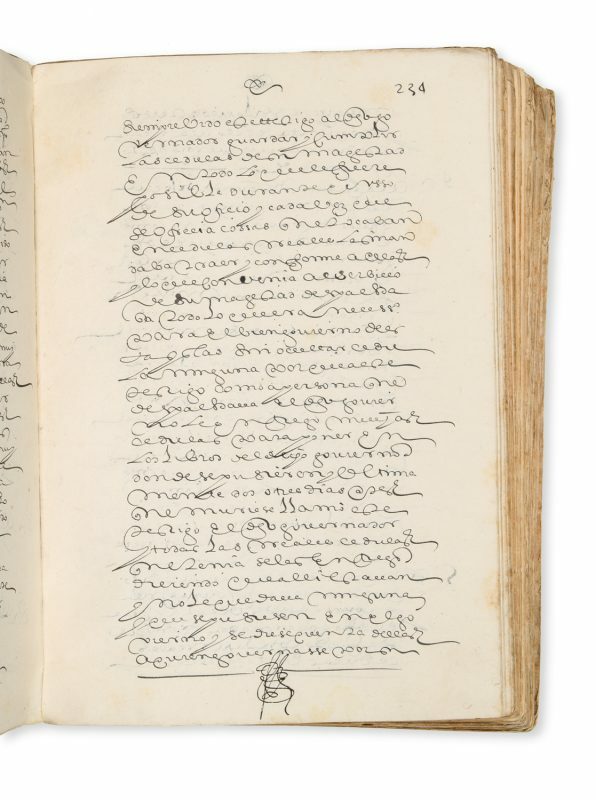 This manuscript is a certified contemporary copy of the original, made by the notary Alonso Baeza del Rio, in Manila. 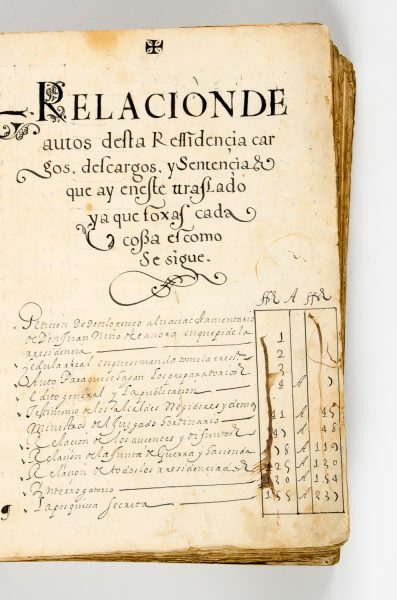 Mainly in the single notarial hand of Baeza de los Ríos, in Spanish, including his rubrica on each folio showing that he had personally checked it, with certification on the last folio by seven other notaries including Baptista de Espinosa and Francisco de Casares. 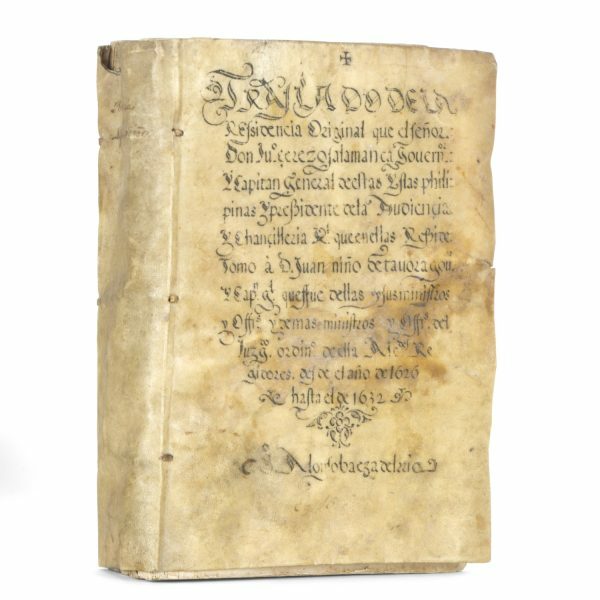 Three unnumbered folios in a different hand at the beginning contain a list of contents. 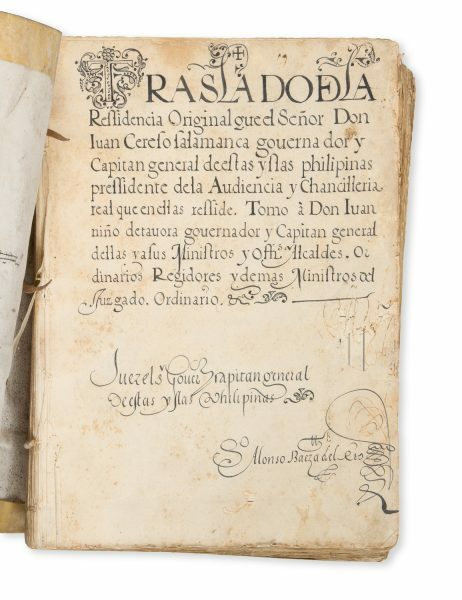 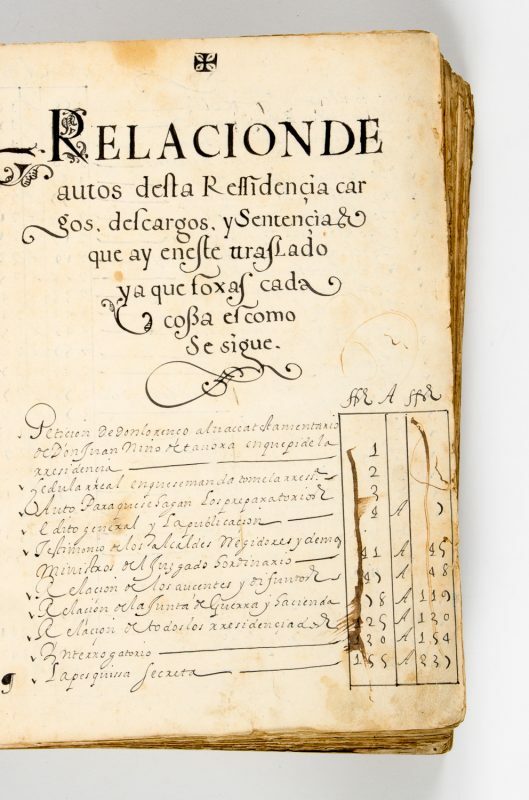 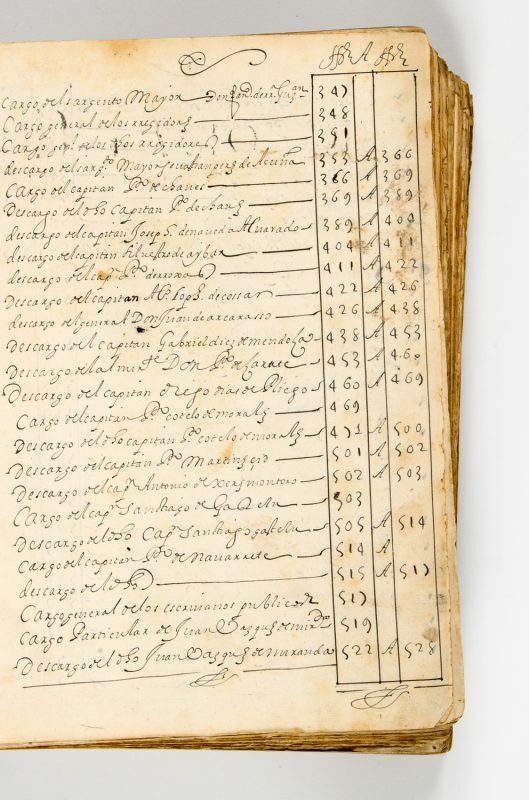 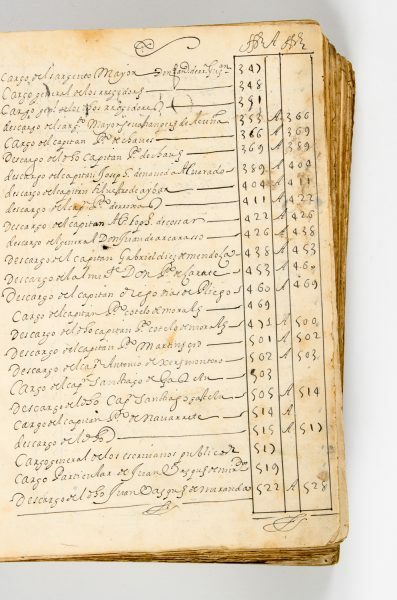 Particularly valuable as a complete official record of an early Spanish governor of the Philippines. 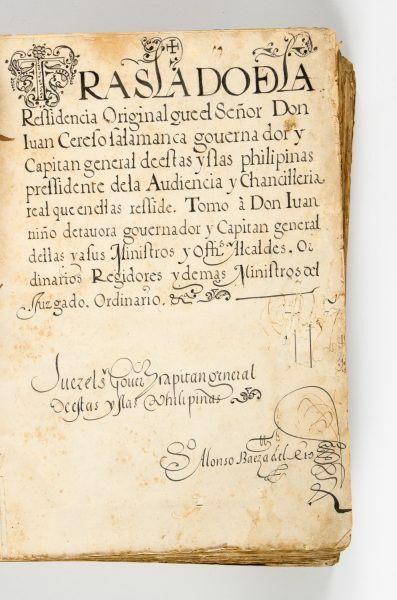 The incoming Spanish governor of the Philippines (Juan Cerezo de Salamanca, interim governor, 1633–1635) was required to take the Residencia, i.e., account of stewardship, of his predecessor, in this case Juan Niño de Tavora (governed 1626 until his death in 1632), and gives responses to questions about the governorship of Niño de Tavora. 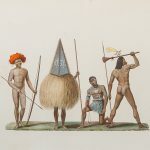 This Residencia is unusual in that Tavora had died before the new governor arrived. 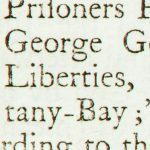 During his governorship Tavora had established forts in Formosa (Taiwan) against the Dutch who were affecting Spanish trade. 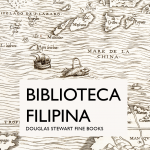 He was the first, in 1629, to complete a stone bridge across the Pasig River from Manila to Binondo. 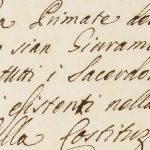 Cerezo wrote ‘he has lived honorably, and in the praiseworthy manner that his obligations demanded’ (Blair-Robertson, XXIV, 323–4).